Did You Know You Can Dye Carpet? Are you wondering how to get bleach out of carpet? Have you ever been curious if you can change the color of your carpet? Do you have a heavy stain that will not come out? These are all questions that carpet dyeing can solve. Carpet dyeing works by adding color pigments to the carpet. Since all carpet is dyed, we are able to add colors that are missing to create new colors, restore original colors, or add vibrancy to carpet. At Yep! We Fix Carpet we specialize in carpet dye processes. 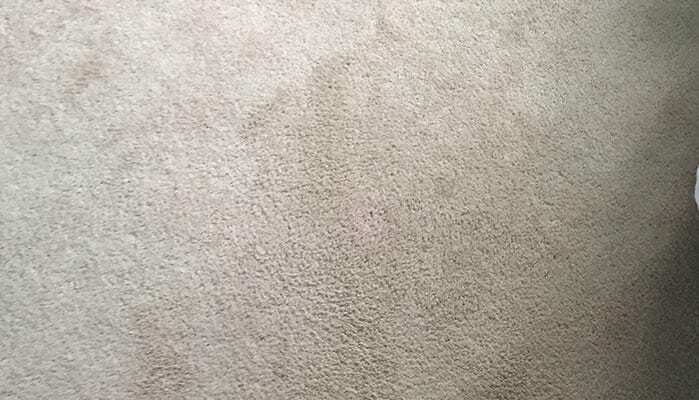 We can fix bleach stains (spots), change carpet color, and fix heavy carpet stains. If you have bleach on carpet, stubborn stains, or need a change book an appointment. We provide services 60-80% cheaper than the cost of replacement. Serving the Twin Cities and surrounding suburbs. Call to find out if we serve you! Here are two examples of bleach stain (spot) removal. We get these results by replacing color pigments that are lost from getting the bleach on carpet. We specialize in color theory and its application. Our specialists are trained to color match our dyes specifcally to your carpet’s color scheme. We can match any carpet color so long as the carpet is dyeable. Looking for carpet patching? Click here to explore our services. Why Choose Carpet Dyeing Over Replacement? We are usually able to schedule same week service. The first step is to determine if you have carpet dye sites. To figure this out we’ll need a small sample from a heating vent or closet. How Long Does Dyeing Take? Our dye processes can take as little as 30 minutes but are usually around an hour. Once the carpet dye has been applied it is instantly colorfast which means that you can use the carpet the moment we are finished. 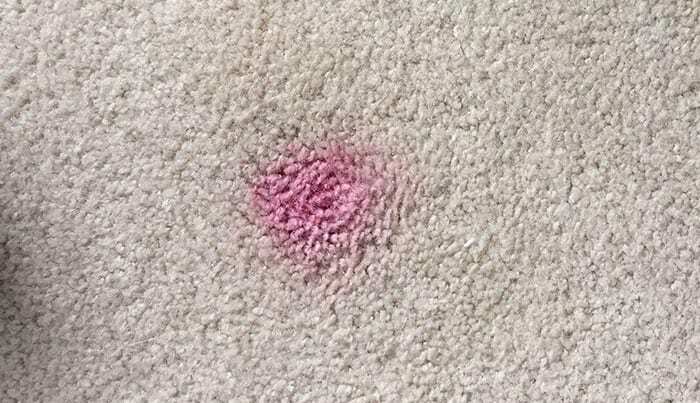 Stain removal is the opposite of getting bleach on carpet. Unlike bleaching agents that remove color pigments from carpets staining agents add pigments. This creates very precarious issues when determining how to remove a stain. When removing color pigments it is not always clear where the stain ends and where the carpet begins. Therefore the stronger the stain the higher the likelihood that you will bleach the carpet while cleaning it. But remember – we can fix bleach damage. This means we can tackle even the strongest of stains. Learn more about our carpet dyeing and restoration services here. After your first service with us you will be added to our friends and family network to enjoy 10% off all future appointments. You will also receive free carpet spotter for life. Contact us today! If you live in Minneapolis or Saint Paul, Yep! We Fix Carpets is the best carpet dyeing near near me. 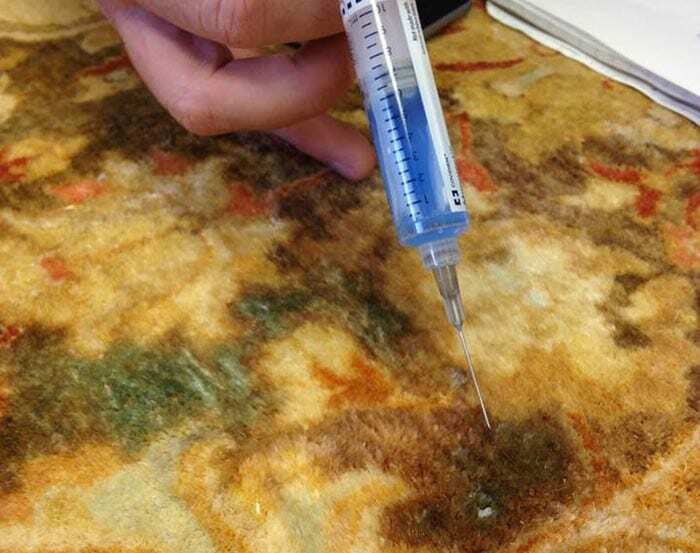 In addition to the services most carpet stretching companies perform, like seam repair, carpet cleaning, and odor control, we also perform carpet dyeing which can fix any color damage or loss that you may have. To us carpet dyeing is not a service; it is a way of preserving carpet for years to come. 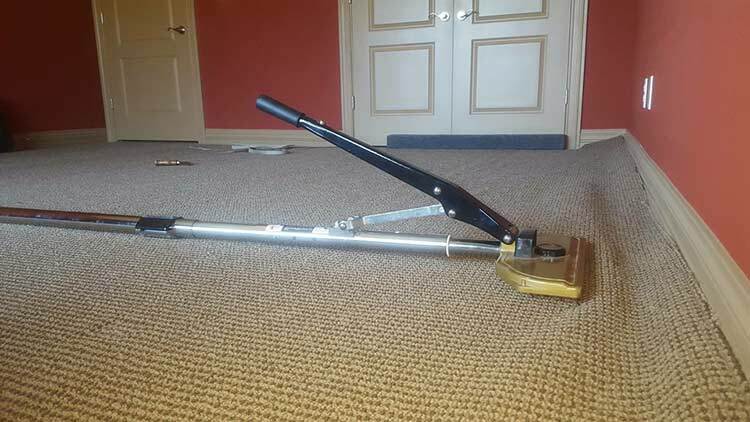 Replacing your carpet should only be the last resort. Are you wondering how to get bleach out of carpet? Have you ever been curious if you can change the color of your carpet? Do you have heavy carpet stains you want to get out? These are all questions that carpet dyeing can solve. Carpet dyeing works by adding color pigments to the carpet. Since all carpet is dyed, we are able to add colors that are missing to create new colors, restore original colors, or add vibrancy to carpet. At Yep! We Fix Carpet we specialize in carpet dye processes. We can fix bleach stains (spots), change carpet color, and eliminate heavy carpet stains. Our Carpet Dyeing is Far Less Than Replacement. If you have bleach on carpet, stubborn stains, or need a change book an appointment. We provide services 60-80% cheaper than the cost of replacement. Serving the Twin Cities and surrounding cities. Call to find out if we serve you! Why should you choose Yep! We Fix Carpet over others? Why should we tell you when you can see the results for yourself? See the stunning results below. Our carpet stretching gives you the feeling of having new carpet without the cost. Interested in learning how to stretch carpet? Click here. Our dye processes can take as little as 30 minutes and usually around an hour. Once the carpet dye has been applied it is instantly colorfast which means that you can use the carpet the moment we are finished. This creates a very precarious issues when determining how to remove a stain. When removing color pigments it is not always clear where the stain ends and where the carpet begins. Therefore the stronger the stain the higher the likelihood that you will bleach the carpet while cleaning it. But remember – we can fix bleach damage. This means we can tackle even the strongest of stains. We are the best carpet dyeing specialist in Minneapolis; give us a call if you want to know how to get rid of carpet stains. We also provide quality carpet dyeing to St. Paul, Mpls, North Oaks, Vadnais Heights, Shoreview, Stillwater, Woodbury, Wayzata, Minnetonka, Edina, Plymouth and Maple Grove, Mn. Plus many more!